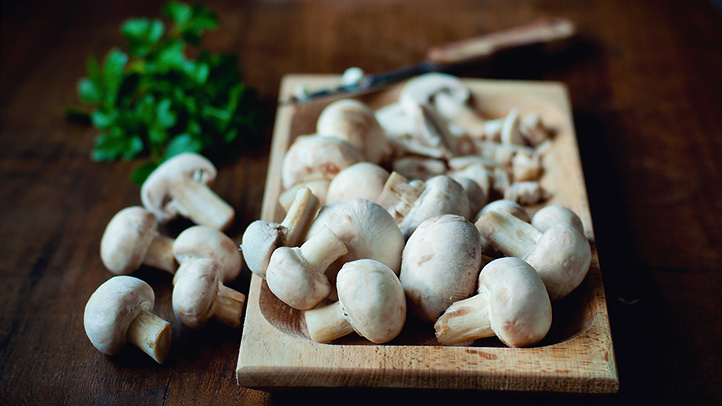 Two of the most diverse ingredients in cookery are the egg and the mushroom. They’re also two of the most difficult to master. While cooking 2.3 kilograms (5 pounds) of mushrooms for a dinner party today, I thought about how the lessons of cooking edible fungi have helped me live a life with multiple sclerosis (MS). First, of course, there are several different kinds of mushrooms. One must identify the edible (and delicious) from the unpalatable and even poisonous. Next, we must understand what we want out of our fungi: They can be so many things to so many different dishes that we must know how to best get what we need from what we have. We cannot choose the type of MS we end up with, but the comparison that drew me from hob to keyboard today was in the cooking of mushrooms, not the choosing. That’s where my sense as a chef met my observation as a writer, and the idea simmered while my sauce came together. Quickly Seared, or Slowly Stewed? As I mentioned at the beginning, it takes much work to master the cookery of a mushroom. Many unflattering versions of the food have passed through my kitchen as I made — and learned from — mistakes. In the beginning, I, like many people, thought cooking mushrooms involved using a hot pan and a little fat to quickly sear them so the water in the mushrooms evaporated quickly, leaving highly browned, tasty shavings of intensely mushroom-flavored, well … mushrooms. Today, I often prefer to cook mushrooms slowly so they release their moisture, and so they can mingle with aromatics that can be concentrated — then reabsorbed — into their spongy bodies to create something deeper and richer than themselves. Similarly, my old life may have been a series of quick sautés of individual experiences, hurried side dishes, and a searing pace. But today, I appreciate the slow gaining of experience, the mingling with interesting companions, and the right amount of heat and time to create something wholly different from a simple combination of single ingredients. More and more, this slow, warm mingling of people and places affords me deeper connections, and the dish I find myself enjoying nowadays has a richness and complexity because of contact with people like us. Life with MS has forced me to slow down. It’s not something I chose. But I can choose how to use my time to make my life full and rich, even if it’s not the same as the way I used to do it.